Velour blouson jacket by LOOXENT: cosy and cool! 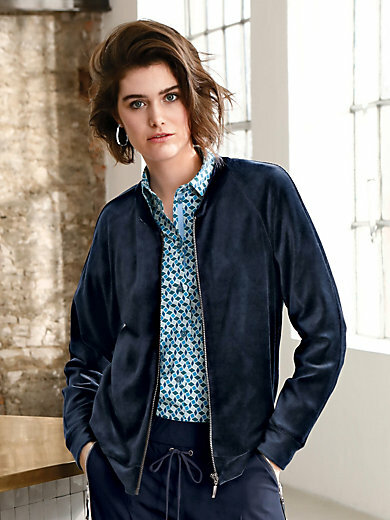 A trendy jacket in brilliantly coloured velour velvet with a silver-coloured zip fastener on the front. 40% cotton, 40% modal, 20% nylon. Length approx. 24ins. The blouson jacket is machine washable.